Houseplants: Houseplants are great because they’re so transportable between seasons. If you’ve taken some of yours outside since you’ve spending more time outdoors, give them a little attention so they can survive the summer. Houseplants should be shifted to shady areas and watered more often than they were during the spring. Harvest: If you have a fruit or vegetable garden, early season staples like strawberries, lettuce, radishes and peas may be ready for harvesting. Once produce has grown to full size and taken on a strong color, it is ripe for picking. If birds and other pests have been threatening your garden, meanwhile, use netting to protect your plants. Herbs can also be harvested right before they flower. Plant: As soon as you harvest your spring plants, they can be replaced with warm-weather fruit and veggies like tomatoes, peppers and melons, saving you trips to the grocery store. You can also plant container shrubs and trees all season long but June is the best month for it. Plants that go into the ground in June have an entire season to strengthen before the winter takes hold. Deadhead: Over the summer, taking walks through your garden is a relaxing way to appreciate the plant life thriving in your yard. When stopping and smelling the roses, take your sheers and snip dying blossoms off of plant stems. Deadheading, as it’s called, encourages flowers to create even more blooms. When done at least once a week, this process prevents plants from going to seed and protects them against many fungal diseases. Weeds: Some weeds are actually beautiful in their own right, but they can quickly take over a yard when they aren’t kept in check. Thistles and dandelions get all the more aggressive as the temperature rises. Consistent watering and lime applications can help take care of these weeds. Fungal disease: Speaking of fungal disease, this condition attacks plants inhabiting cool, moist environments. When you see powdery mildew and leaf spots, you know your greenery has been infected. Fungicide can be used to treat them. Dividing your varieties of plant life, as well as pruning individual plants, can also take care of the problem. Arrangements: Flower arranging is a fun, unique art form. If you decide to make arrangements from the flowers in your garden, early morning is the best time to pick your blossoms. There are also several steps you can follow to make sure that your arrangements last as long as possible: find a clean container, change the water every day, and snip the stems every couple of days. Container plants: It’s also fun to pick out nursery plants that will complement your garden. When you get home, inspect and loosen the root ball before planting your new purchases, if necessary. When roots are bound too tightly, they have trouble uncoiling and establishing themselves in new environments. Lawns: Have trouble keeping your grass green during the summer? Keep it healthy by fertilizing and watering, which help build up grasses’ resistance to harsh sunlight. When mowing, allow grass to grow to 2 ½ inches or higher. Doing so will encourage roots to stabilize and grass blades to strengthen. Conserving water: Water is a precious commodity. Thankfully, there are ways to be more conservative about the amount of water you’re using to nourish your plants. For example, kitchen and bathwater can be reused in the garden. Keep in mind that some plant varieties are affected negatively by the lime often found in tap water. 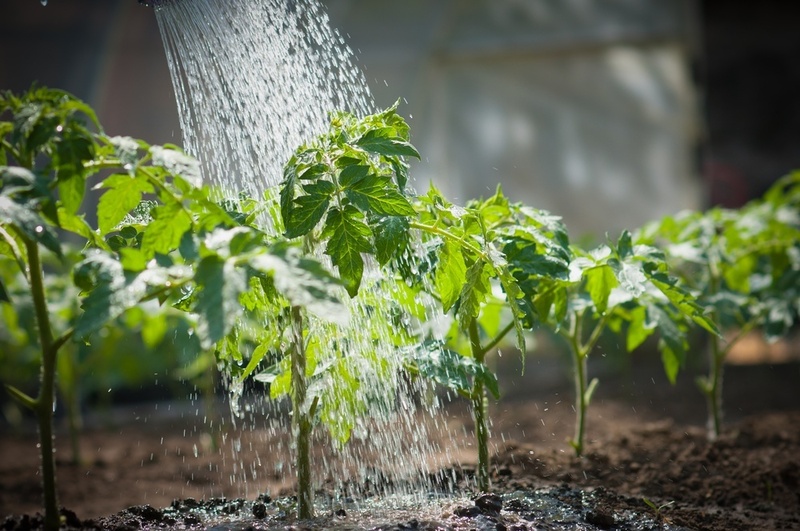 If you want to save time, environmentally-friendly automatic watering systems can hydrate your plants for you. Softwood cuttings: Get the most out of your shrubs by gathering their softwood cuttings, which can be used to grow new plants. By mid to late June, shrubs like spirea, lilac and viburnum yield these cuttings, making it easy to multiply the plants you already have. Map: X marks the spot! Draw a diagram of your bulb garden while you can see and remember its exact configuration. That way, when you’re ready to add more bulbs later in the year, you know what has already been planted and where.